Browsing Category: ONLINE STORE Displaying 1-6 of 14 Found. 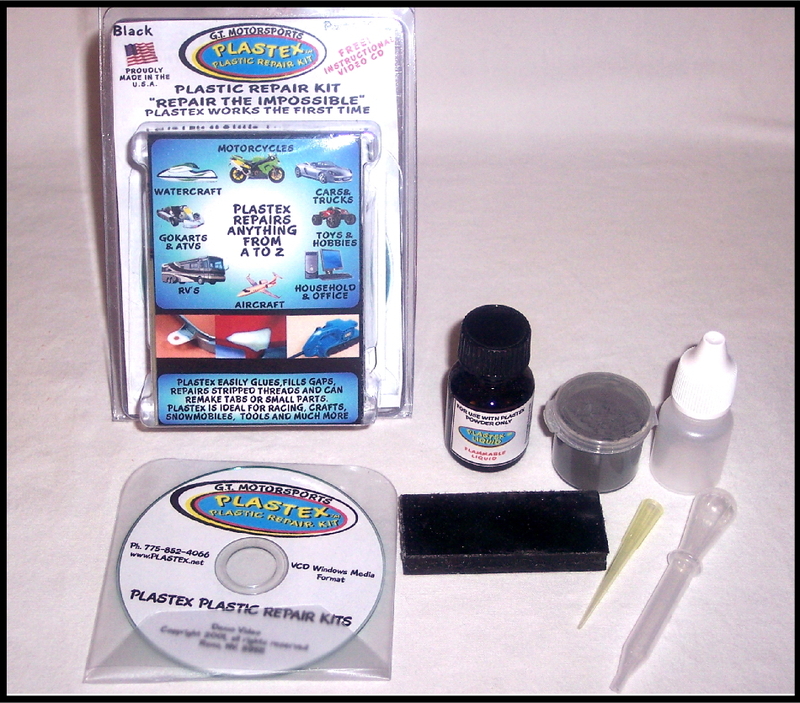 $16.95 SMALL BLACK PLASTEX KIT. 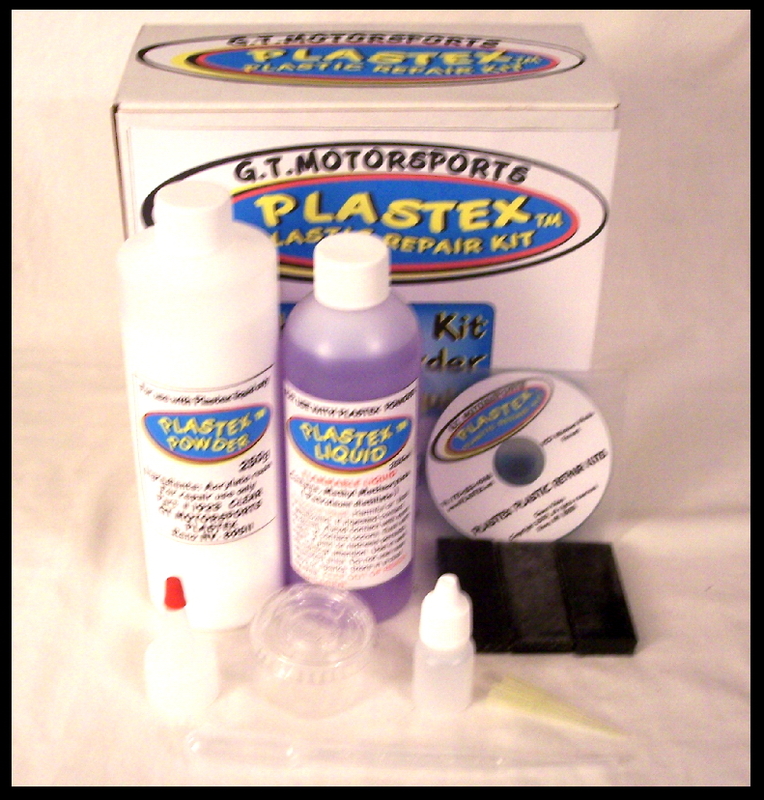 THIS KIT IS ENOUGH TO MAKE ONE SMALL TAB OR 3" CRACK REPAIR. GREAT FOR CARRYING WITH YOU ON THE ROAD. 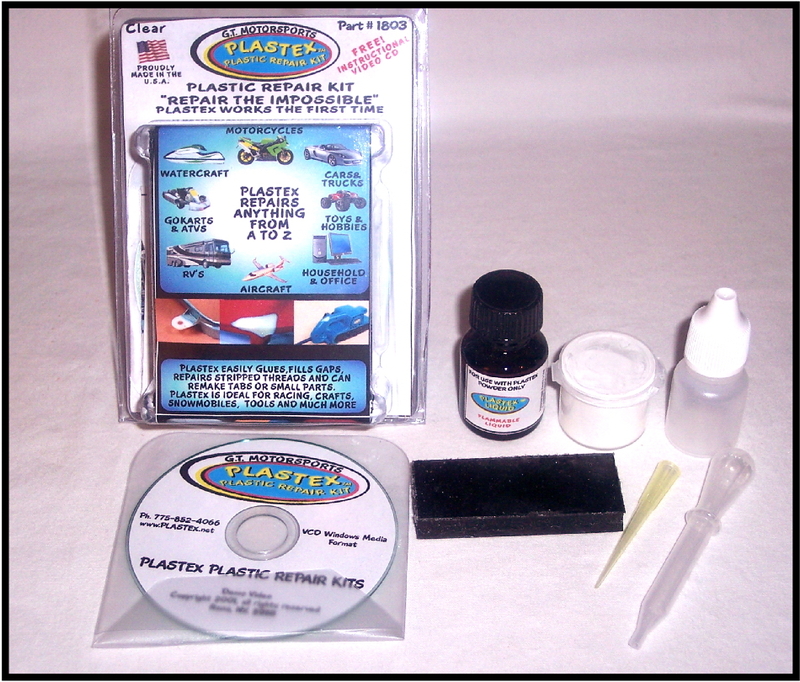 $16.95 SMALL CLEAR PLASTEX KIT. 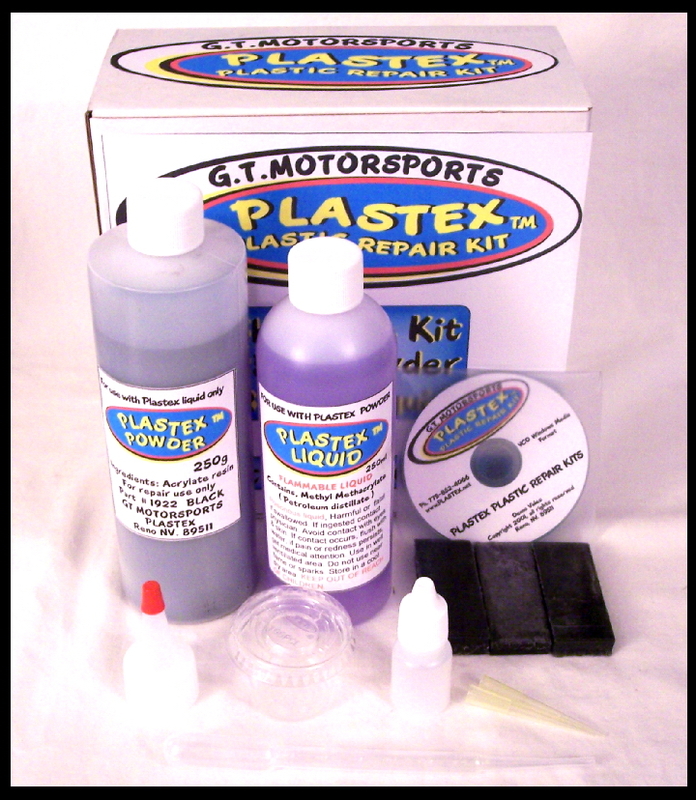 THIS KIT IS ENOUGH TO MAKE ONE SMALL TAB OR 3" CRACK REPAIR. GREAT FOR CARRYING WITH YOU ON THE ROAD. 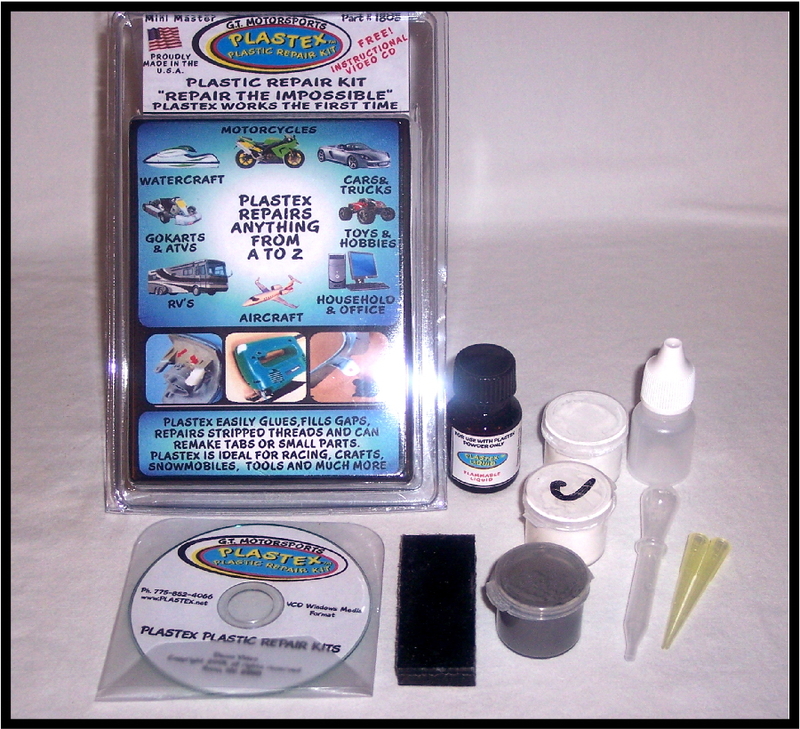 $19.95 THE PLASTEX MINI MASTER KIT HAS ALL 3 COLORS BLACK, WHITE AND CLEAR 5G POWDERS. GREAT FOR AROUND THE HOUSE OR OFFICE. 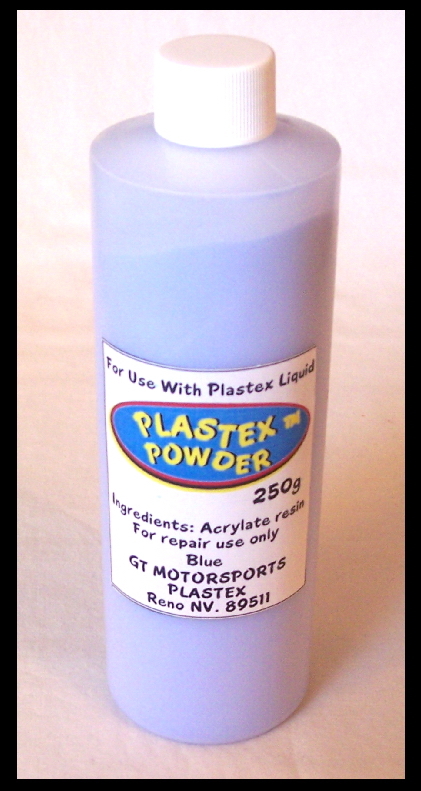 $124.95 PLASTEX SHOP KIT INCLUDES 250 GRAM CLEAR POWDER AND 250ML LIQUID. GREAT FOR THE USER WHO HAS MULTIPLE PROJECTS. Displaying 1-6 of 14 Found.